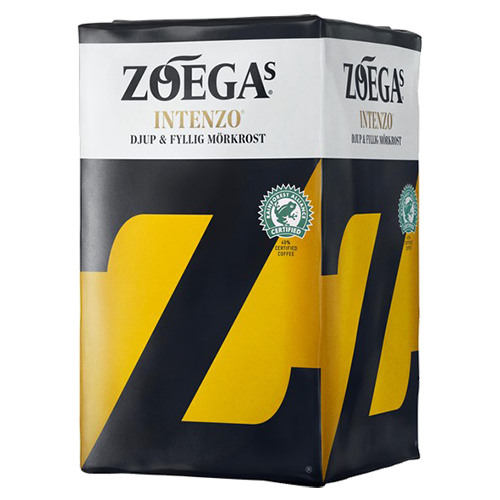 Zoégas Intenzo ground coffee, the coffee for this blend grows on the sunny hillside in Guatemala and Costa Rica. From there to the cup it goes through a careful selection of the best beans and a conservative dark roasting. The flavor has a fresh acidity and a slight fruitiness leaning to green apples. Aftertaste is slightly bitter with liquorice prominent.